Our next president must be committed to protecting and advancing the civil liberties and civil rights guaranteed to all of us in the Constitution, ensuring Rights for All. It’s not enough for candidates to talk about rights on the campaign trail. When we cast our ballots, we want to know that they have embraced specific policies that advance Rights for All within their Presidency. 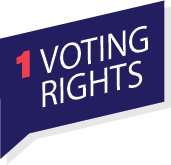 End unjust laws that strip citizens of their fundamental right to vote due to criminal convictions, because we all — including those who are currently incarcerated — must have a voice in how we shape our society. 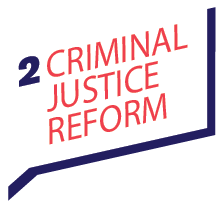 Confront the crisis of mass incarceration that has hurt millions of people–particularly Black people–by committing to a nationwide strategy to cut the prison and jail population in half, including at the state and local level, and reducing the federal prison population by 50 percent within their presidency. 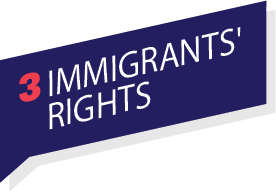 Overhaul our immigration system by creating new paths to citizenship and dismantling the inhumane and unfair immigration and border enforcement regime, including by ending the use of detainers and reducing immigration detention by at least 75 percent. 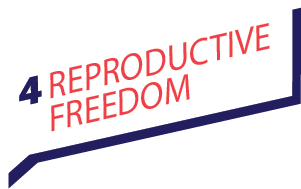 Ensure that anyone, regardless of where they live or how much they make, can access abortion and other reproductive healthcare, including by lifting the Hyde Amendment and other government bans on insurance coverage of abortion.